Here’s something unique about Phase – we are quite a small team of 11 people based in two different, but equally amazing, cities. Phase design and engineering are based in Taipei, Taiwan while our community team including myself run a small team in Berlin. Taipei is a story for another day, but why Berlin? The real reason is the local design community. The city is just full of creatives, and is one of Europe’s biggest design hubs, and perhaps more importantly, is one of its most diverse. I fell in love with the city the first time I visited last year, and couldn’t resist moving here. I thought that joining Phase in Berlin would be an excellent opportunity for me to start my journey with design, and I couldn’t have been more right. I’ve been living in Berlin for almost two months now. Here’s what you should know about the city if you’re a designer moving here. Berlin is one of the most diverse and international cities in Germany and Europe. You meet interesting people at every step. I met a world-class fashion photographer when I was buying coffee beans — it’s that easy here. You quickly realize how international the local design community is. If you like being surrounded by people from around the world, you cannot go wrong with that city. Everyone comes from a different country, and has a unique background. 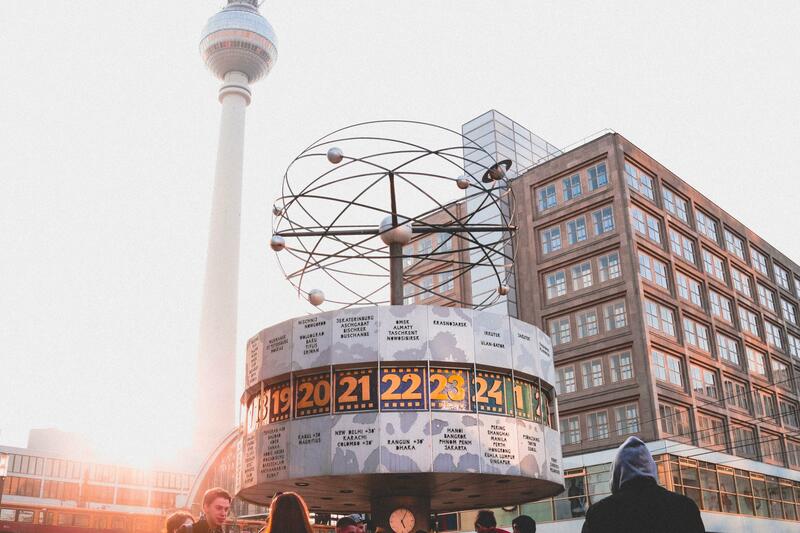 Berlin is also home to some of the world’s most exciting companies. 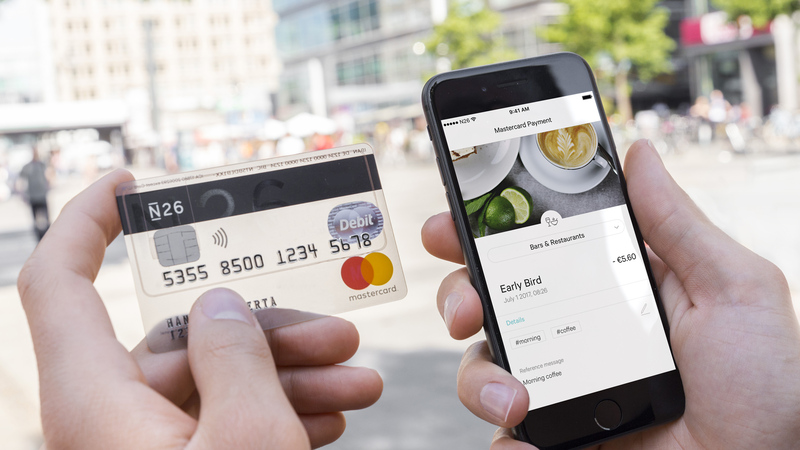 One is N26, one of the most forward-looking fintech companies in Germany and Europe. Managing personal finances with their mobile banking app is super easy, and I’d even say fun. N26 takes banking to another level with Apple Watch and iMessage apps, and Siri integration. Their approach to UX is commendable. If you’re into non-fiction books, you should be familiar with Blinkist. They’re from Berlin too! Besides the mobile app that gives you summaries of self improvement-related books, they also produce a podcast called Simplify. There are quite a few more famous companies in Berlin that I’m sure you’ve heard about. Like SoundCloud, the world’s biggest platform for independent music creation and podcasting. If you’re into football/soccer, Onefootball is probably your go-to app. They’ve put a lot of work into making the product well thought-out. Even for someone who hates football I have to admit, that the app is amazing. Some of you might have used GoEuro, it’s a Berlin based company that built a search engine to help you find the cheapest and fastest travel connections. In addition to the multiculturalism, Berlin has a vibrant startup scene as well. I get to attend meetups regularly and hang out with people who are doing the same work as me and eventually, grow and become better at what I am doing. 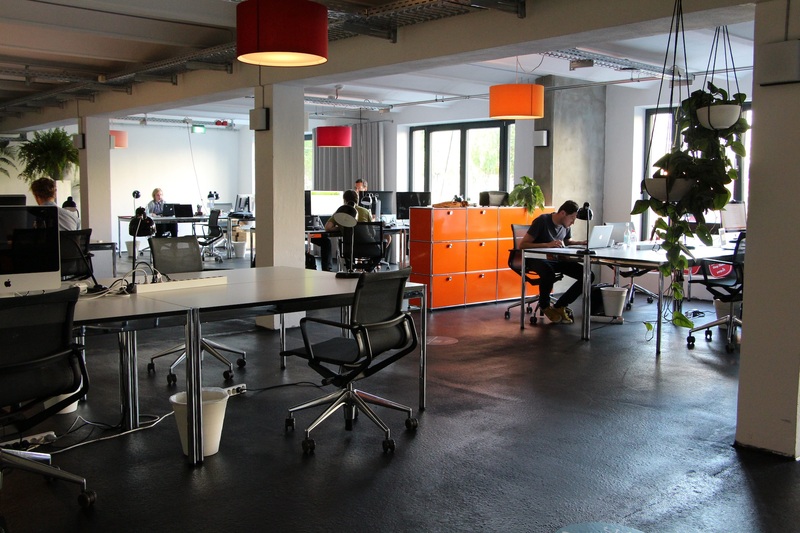 If you’re looking for a design job in the city, Berlin Startup Jobs is the way to go. I’m sure you will find there something that will suit you. We’re working on a very interesting problem. How can we help people to keep learning, to keep improving and feeding their curiosity? At this point in history, we spend so much time on our devices and how we use that time doesn’t always feel enriching. On the design team, we’re passionate about making it accessible and enjoyable for people to spend some that time on something they can feel good about. In addition to that, Blinkist has a wonderful working culture that’s built on autonomy and giving people trust and ownership. People here are curious and respectful of the field of design and I believe that impacts how we feel about our work on the team. The rawness and how much people here care about being creative and expressing themselves. It’s such a cultural hotspot, it’s hard to find a place as diverse as Berlin. It’s definitely a perk for digital designers when we’re doing our research. To find people from all around the world just in the same Kiez is just amazing. There is so much design inspiration everywhere around you when strolling or cycling through the city. From architecture to typography. Just by keeping an eye out, the city keeps feeding me with fresh ideas. I like that you can meet so many different kinds of people on the streets of Berlin — it reminds me that my work will need to match diverse needs. When I moved here, I only knew a few people. But there’s nothing to worry about; meeting new people in Berlin is easy, especially if those people are designers! What I did in the first few weeks was to go to as many design-related meetups as possible. I just opened Meetup.com, searched for ‘design’ and got a bunch of results back. The first one I went to was Berlin UI/UX Designers Meetup. 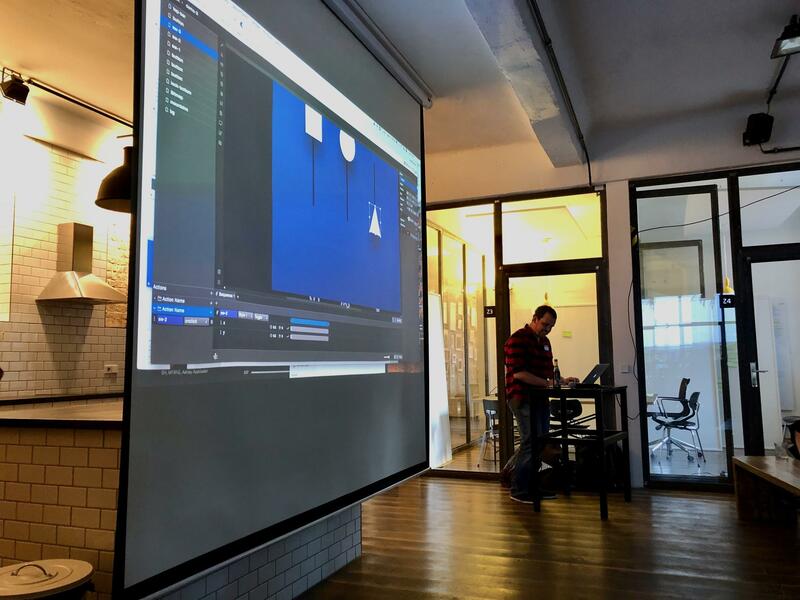 It’s a monthly digital design event hosted in different offices around the city. The next event was from Design Lab Berlin, that also hosts events in London. The event formula is very similar to the previous one, but it’s an equally great opportunity to meet peers. The above-mentioned company N26 is also organizing meetups in Berlin, and some of them are heavily focused on design. It’s also worth to mention Design Tools Berlin (who helped us make our first Phase Berlin meetup happen ❤️), Berlin UX Happy Hour, and Berlin User Experience Designers. Very energetic, open, and active. I’m organizing Design Tools meetups myself now and then and there’s always a very interested and involved crowd present. Also, with quite a big community it’s very easy to grab a coffee and talk shop with any like-minded designer. Berlin’s creative scene runs the gamut from beautiful graffiti to brilliant print design. Only in Berlin have I seen a food festival poster with top-notch type and color design. Basically, people here care about what they design! The community is large and open. When I arrived and started meeting people from the field, I felt less hesitation than in other cities I had been living. If you are not really an office person, you are going to love living in Berlin. The city is just full of coworking spaces and work-friendly coffee shops. Continuing the previous topic – a great way to meet new people in Berlin is to join a coworking space. The big players of coworking, WeWork and Mindspace, both have branches in Berlin. I’ve also heard a lot of good words about betahaus and Unicorn. There is also Factory Berlin, that’s not really a standard coworking space. They call themselves the community of innovators, and that’s the best way to describe it. Most of the city’s coworking spaces are listed here so that you can choose one in your favorite area of the city. Some of those places also have multiple locations, which means you’re not locked to just one district. When it comes to coffee, I have to admit that I’m a little bit snobbish. But luckily for me, Berlin is home to a few Europe-famous roasteries. Finding a café that’s suited for work from is not a challenge, either. 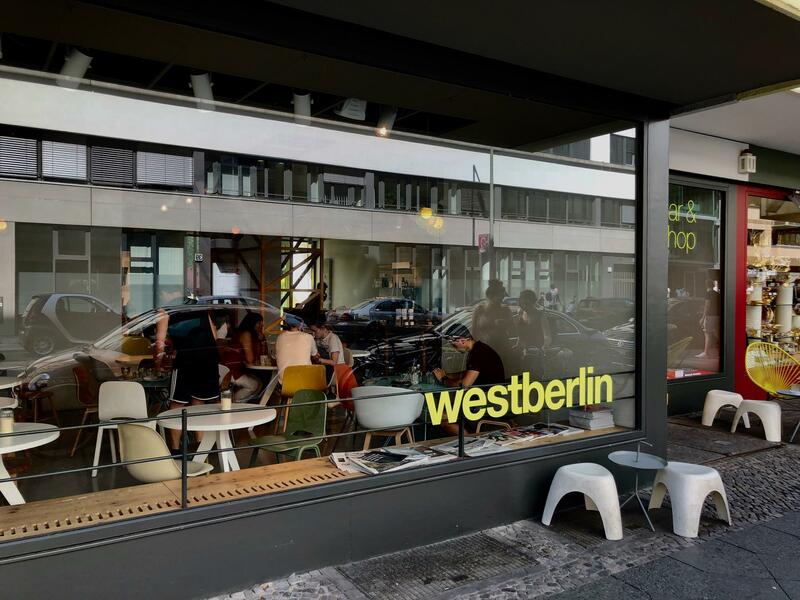 If I’d have to pick one coffee place to work, I’d go with westberlin. The location is great (next to Checkpoint Charlie), they serve coffee from a great Berlin-based roastery called Five Elephant, have free and fast Wi-Fi, and there are neons in the restroom. For real. You won’t be disappointed. In Bonanza’s and The Barn’s roasteries, you’ll find special coworking tables, but you’re not allowed to sit with your laptop at non-coworking tables. Laptops are not a problem in their other locations, though. If you want to experience some beautiful views, you have to visit Cafe Kranzler. It’s right next to Berlin’s famous shopping street, Kurfürstendamm (protip: you can just call it Kudamm ✌️). A few of my other recommendations that are great too: Oslo Kaffebar, Populus Coffee, and 19grams Alex. I prefer to work from home — but if I do leave my house, I usually go to Isla or Home. The Japanese place % Arabica is amazing. It recently opened next door to IXDS. Great coffee, zen atmosphere, fanciest toilet ever. When I feel like doing remote work my favorite place to go to is Okey Café. They happen to have freshly baked cinnamon buns, which makes my workday nearly perfect. What to do after work? You never get bored in the city, especially after work. I’m not the best person when it comes to techno club recommendations, but I can share some great craft beer bars and vegetarian/vegan restaurants with you. But let’s not go there, and make this article sound even more hipster. I have to say that I like mainstream German beer, but I like good craft beer even more. If you want to try best of the best, then you have to go to Kaschk or Mikkeller, but those are pricey. More budget-friendly craft beer options are BRŁO, KADZ, Hops & Barley, and Protokoll. I still have a lot to explore here, though. 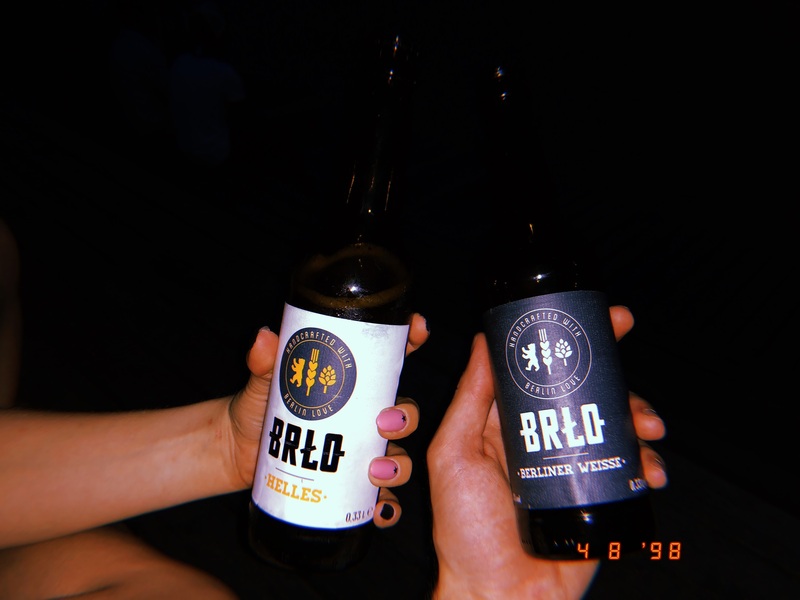 If you’re into craft beer, you have to try one from BRŁO! Food-wise, you won’t be disappointed either. If you’re into vegetarian street food as much as I am, you’ll love HOLY FLAT! If you look for more restaurant-y options, you can’t go wrong with Hummus & Friends or 1990 Vegan Living. I know how hard is it to find an option that will suit everyone, so let’s stop here. I’m pretty sure you’ll find something good on Foursquare or Yelp. I hope you found my tips useful. I’m still pretty fresh here, and I’m still figuring some things out, but there’s one thing I’m sure of – Berlin is amazing. No doubt that you’re going to love it too! And once you’re here, we can have a beer or two! Just drop me a line here. Spending some time on doing cool things! ✌️ Podcaster, UI/UX Designer, blogger, tech and coffee geek. From Warsaw, living in Berlin.